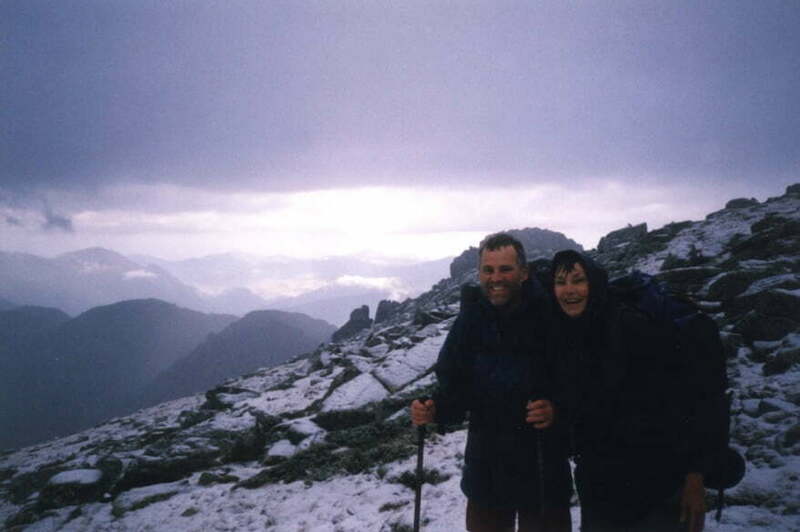 The Corsica GR20 is one of the great walks of Europe, comparable in length to the Tour of Mont Blanc and similar in quality to the Cuillen Ridge on Skye, which we had climbed in 1989 with our son, Jonathan, and Colin Nichols. It runs across Corsica northwest to southeast, from Calenza in the north to Conca in the south. 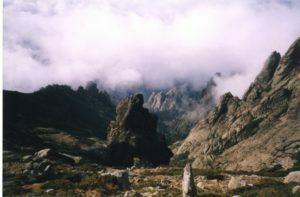 It crosses jagged peaks, that are snow covered for much of the year, together with high mountain pastures and pine woods carpeted in wild flowers in spring. 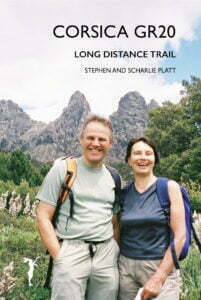 It is over a hundred and thirty miles long, involves over 25,000 metres of ascent and descent and takes nearly two weeks. It is divided into two sections by a small gauge railway that crosses the GR20 at Vizzavona. 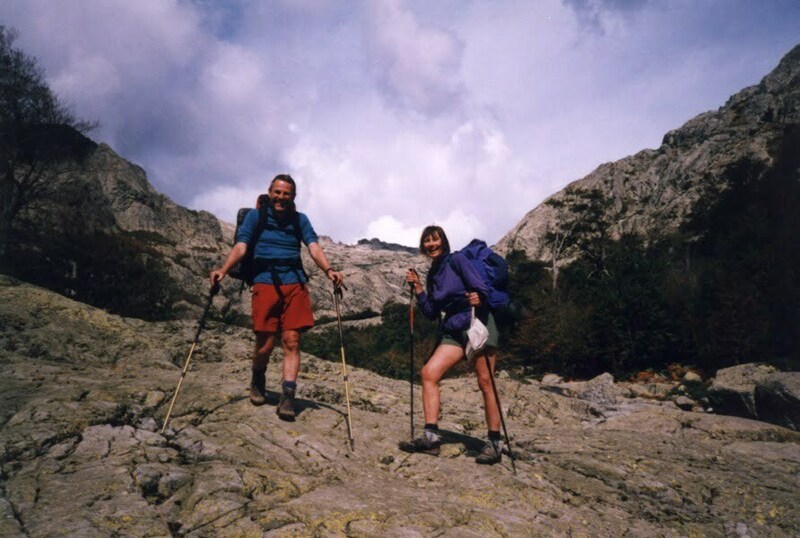 We walked the northern part from Calenza to Vizzavona in 2001 and the southern part from Conca to Vizzavona in 2004 when we had just turned sixty. We didn’t have a guide or go with an organised group. Like so many who do this walk, we found our own way, carrying all our food and the minimum of gear and clothing. Although we stayed in refuges, we had warm sleeping bags, campamats and a bivi bag so we could have slept rough if we’d had to. 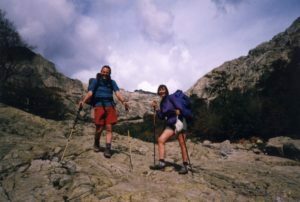 This is an account of the the walk, plus excursions to the Aiguilles de Bavella and Monte Renosu, two high level variants of the GR20 route. Our account will introduce you to the joys of multi-day high level walking and maybe encourage you to try for yourselves.